Have you been to the Town Church Charity Christmas Tree Festival yet? Over 40 fantastic trees raising funds local good causes. 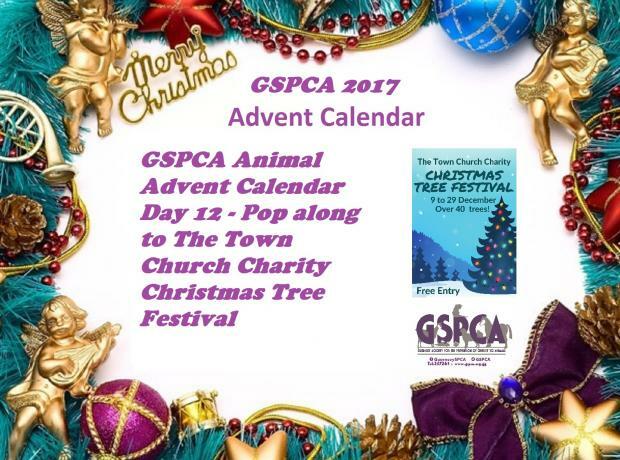 On until the 29th December if you are in St Peter Port please check out the fantastic displays including the GSPCA tree dressed by team members Helen Holmes and Michelle Champion. The event raises funds for all of the good causes with trees so please donate kindly to help all of those involved. We are hugely grateful to everyone that has supported the sale of our our locally grown Christmas trees and especially to Mr Henry Browne who donated them to us to sell. We have a number of trees still at the GSPCA and to anyone that would like to buy one of the last few they are on sale for just £20 each. This will help towards replanting more trees and helping the animals at the GSPCA. Steve Byrne GSPCA Manager said "On Saturday 19th from 9am we will be selling the remaining Christmas trees at the GSPCA Animal Shelter for just £20 each." If you are looking for a Christmas tree look no further as at the GSPCA we have a wonderful selection of locally grown trees. From £25 each these fresh and non needle dropping Blue Spruces are 8 years old and are between 2 and 6 feet in height. We have a lovely selection at the Shelter and can deliver for an additional small donation. We will have a few at the Market in town on Thursday and Saturday and we are hoping to man the field again this weekend so you can chose your own tree from source. We will announce the times and location in the next two days. 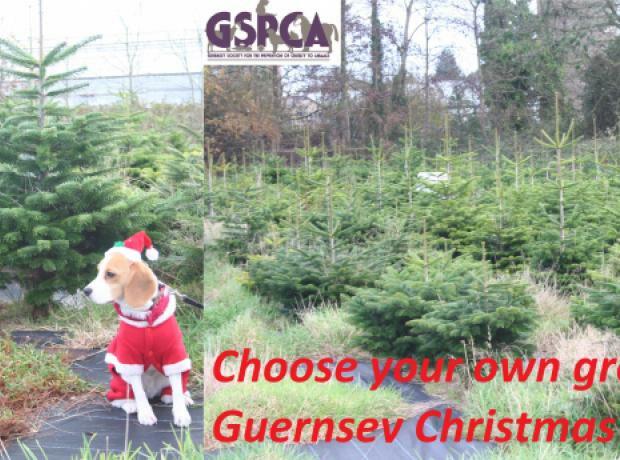 Have you ever been and chosen your very own locally grown Christmas tree in Guernsey? This Sunday the GSPCA will be at a location to be released on Saturday where you can come and choose from 900 locally grown Christmas trees. The Blue Spruces make fantastic festive trees and what better way to choose a tree fresher than any you may have had before. We will also be selling a small selection on Saturday from our Market stall in St Peter Port and will have one on display at the Shelter from Friday.